Home / KB / WooCommerce Restrictions / If I protect a Page that has child pages, does that also protect the children too? If I protect a Page that has child pages, does that also protect the children too? It does, yes. Protecting a Page that has children will effectively protect the parent Page and all of its child Pages as well. This makes it easy to protect a lot of content. 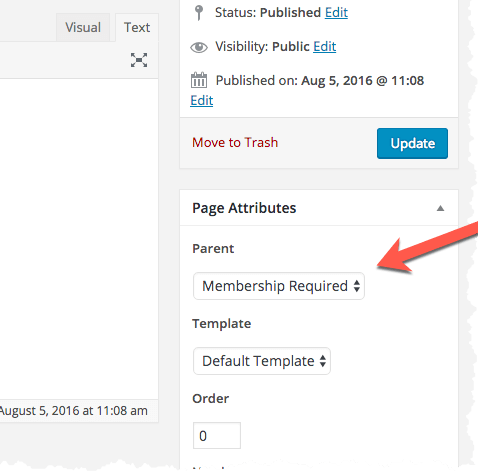 For example, whenever you create a Page in WordPress and set the 'parent' Page to one that is already protected via WooCommerce Restrictions, that will automatically protect the new child Page that you're creating; i.e., you don't need to go back and reconfigure any Restriction settings this way.